I’m sure you have heard that there are thousands of college scholarships out there just waiting for applicants to apply. I am here to tell you that it is VERY TRUE and not just a myth. 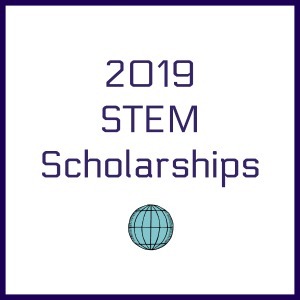 There are scholarships for everyone regardless of gender, age, race, religion or sexual orientation. Initially, applying for scholarships can seem intimidating but it doesn’t have to be. 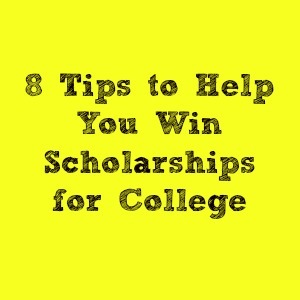 Here are some tips to help you win scholarships for college. 1. Check the Correct Deadline with the Scholarship Provider. 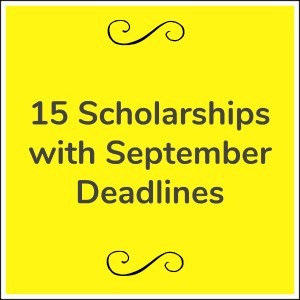 Many times scholarship deadlines change or are incorrect on various search engines or list sources. It is always BEST to check with the ACTUAL provider first to make sure the scholarship is still being offered and to confirm the correct deadline and information. 2. Apply for as Many Scholarships as Possible. As long as you are eligible, you can apply for as many scholarships as you would like. There is no limit to the amount of scholarships you can apply for. The more scholarships you apply for, the more chances you will have to win. Note: Check with your financial aid office to see how scholarships will affect your overall financial aid package. 3. Apply to Smaller and/or Less Familiar Scholarships. It is true some scholarships are much more advertised and therefore much more competitive. If there are only 2 scholarships available at $1000 each and there are over 6000 applicants, your chances are very unlikely that you will get that scholarship. Not to say that it is impossible, just very unlikely. There are thousands and thousands of available scholarships with most not being highly advertised or even heard about. 4. Fully Complete Your Application and Submit ALL Required Documents. Any missing documents or information will most likely automatically disqualify you from the application process. Check off the requirement list and recheck before you send your application. 5. Make Sure the Mailing Address and Postage is Correct. It is best to contact the scholarship provider for the most current mailing address. 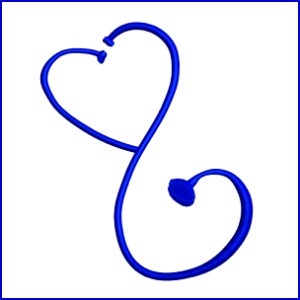 Keep in mind some providers only accept online applications and prefer a certain format. If that is the case, make sure you have the correct contact person and e-mail. If mailing your scholarship application, check your local post office to make sure you have the correct postage. There is nothing more heart breaking than receiving a returned envelope with your application and missing a scholarship deadline because you didn’t have the correct postage. 6. Write a Winning Essay…and Keep within the Word Requirements. Many scholarships require that you write an essay to be submitted along with your scholarship application. Keep within the word requirement guidelines and personalize your essay. If an essay requirement is 500-1000 words, stick within that range. Sometimes, the essay question is very direct and sometimes it is an open-ended question. Scholarship providers want to know why they should award YOU with the scholarship. It is always best to answer the question asked and put your best qualities out there. Provide evidence and examples such as leadership or volunteer experience. 7. Spell and Grammar Check Your Application. This is perhaps one of the most important and sometimes overlooked portions of the application process. Unfortunately, it doesn’t matter how great an application and essay you submit. If you have spelling and/or grammar errors, your application can be rejected. It is best to check several times and have a friend or family member look it over also. Spell check programs are great but not foolproof. 8. Submit a Neat and LEGIBLE Scholarship Application. Make sure your application is typed or neatly hand-written (check requirements). It is the neatness of your application that will initially impress the scholarship reviewers. If your scholarship application is messy or illegible then you may automatically be disqualified. We hope these tips help you in your scholarship application process. Best of Luck to you! !